Get your Passport To Art stamped and any studio in the tour or sponsor locations to be entered to win. It's super simple... and very transparent! 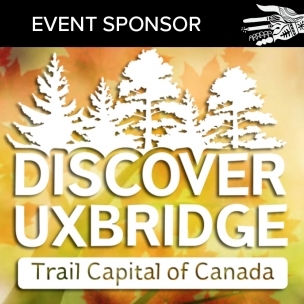 Our goal is to get you to visit as many of our studios as you can during the Uxbridge Studio Tour Weekend. Find your Passport to Art on page 3 of the tour guide... or download and print it by clicking on the image to the right. Then visit 5 different studios and stamp your ballot at each studio (can't find the stamp...just ask the artist). Once you've filled up your passport, fill in your contact details then drop it into the ballot box found at your 5th studio. The artists will make sure it gets entered into the draw. Once again this year there will be 1 PRIZE only...a fabulous $1000 gift certificate for art from ANY of our 2018 artists!! We want you to be able to buy what you love. So that $1000 can be divided between a number of our artists, or if you're hoping for something extra special you could use it as a part payment towards a commission piece or one of our more costly works. The choice is yours so as you explore the studios remember to dream big! Draw to be held at our Lead Sponsor Location The Second Wedge Brewing Company on Friday September 21 at 7:30 pm. You do not have to be present to win but why not be there to celebrate? The prize gift certificate has no cash value, but can be redeemed for art at any individual artist or combination of artists. If the art you want to purchase exceeds the value of the certificate, you're on the hook for the balance, which may include HST. You can enter more than one passport, but please be honest and only do so because you've visited soooooo many studios and sponsors. With the entry of a Passport to Art ballot into the draw, you agree to have your name and email address added to our mailing list. In support of transparency, our goal is to help you buy more great art more often, so we may email you about the next year's tour a few times. Any questions about this? Please contact us.